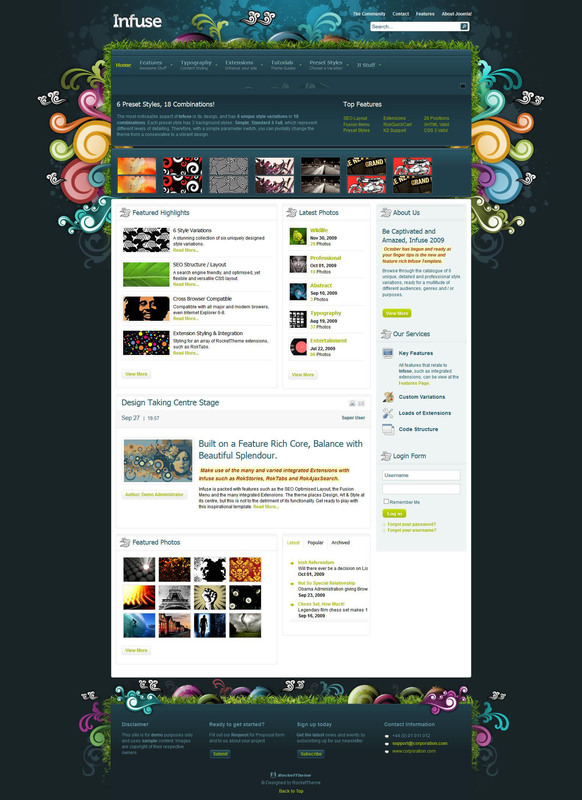 RT Infuse - design template from the popular studio RocketTheme. This template perfectly combines decoration and functionality that is perfect for creating a company's website. The template has 6 color styles, each of which has 3 different variations of background, and that we get 18 possible color combinations. Corporate framework provides studio template with all necessary functions that allow you to display in a flexible way all the information on the site. RT Infuse perfectly optimized for search engines, contains comfortable commenting code files, and also supports all mobile and tablet devices.